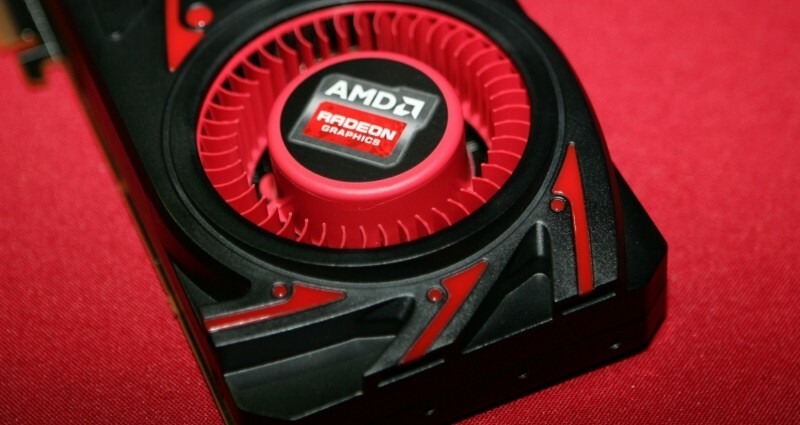 According to the latest rumor from VideoCardz, which as always should be taken with a grain of salt, AMD is currently preparing a new, flagship graphics card that would replace the Radeon R9 290X. Citing board partner sources, this new graphics card will dethrone the Nvidia GeForce GTX 780 Ti as the fastest single-GPU card on the market. The R9 290X launched seven months ago in October 2013, so this new GPU is unlikely to be an R9 300 series part. Instead, it's likely AMD will take their Hawaii GPU and extend its capabilites, either through clocking the core higher, increasing its memory bandwidth, or both. Just on the memory bandwidth, rumor has it this new flagship GPU from AMD will feature HBM (high-bandwidth memory), a new type of memory technology that uses stacked DRAM dies to increase bandwidth and reduce power consumption. There are several variants of HBM, but the first variant to launch will be 4Hi, which uses four DRAM layers with a total capacity of 8 Gb (1 GB), providing 128 GB/s of bandwidth. If AMD uses four of these modules, for 4 GB of memory on the card, we'd be looking at 512 GB/s of bandwidth, which is significantly higher than the 320 GB/s the R9 290X boasts. This new graphics card, which will likely be called the Radeon R9 295X, is reportedly set for a launch sometime this summer. Apart from the few tidbits we've mentioned above, not a great deal of information has been shared about the product, so the usual official announcement waiting game begins.